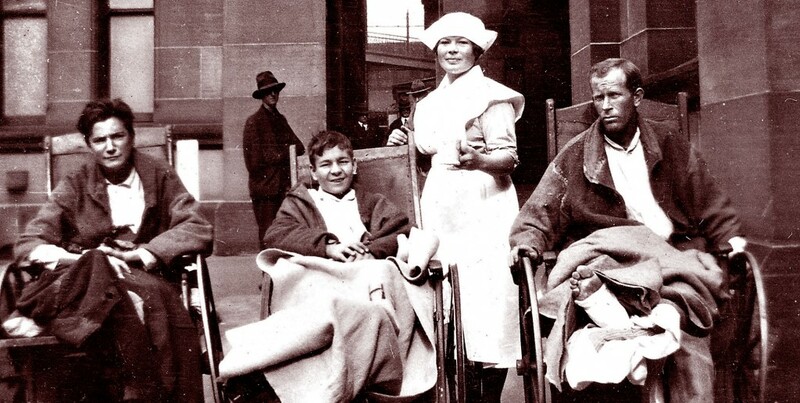 In the late 1920s, two nurses, Evelyn Nowland and a Miss Clancy, began working separately on the idea of a union for nurses and were brought together by the redoubtable Jessie Street, who saw the improvement of nurses’ wages and conditions as a feminist cause. Their efforts were rewarded when the Association was registered as a trade union in 1931 and had its rules registered in October 1932. This was a huge achievement. From 1899 the Australasian Trained Nurses’ Association (ATNA) had organised nurses professionally, but it was controlled by doctors and did not see its function as improving working conditions for nurses. The first nurses’ Award was achieved in 1936, but since it actually reduced trainee nurses wages by 5/- a week, it didn’t do much for Association membership! Over time, the Association has amalgamated with a number of other organisations. These include the Trained Mental Nurses’ Association (1945), the Australasian Trained Nurses’ Association (1975) and, more recently, the harmonisation of the NSW Nurses’ Association and the Australian Nursing Federation (1988). This federal harmonisation means that nurses and midwives in NSW are able to influence decision-making at the national level. The Association is affiliated with Unions NSW and the Australian Council of Trade Unions (ACTU) and is represented on numerous Boards and Committees, which add to its responsibilities and extend its influence in the wider community. The Association voted to change its name to the NSW Nurses and Midwives’ Association (NSWNMA) at the 2012 annual conference and the ANF became the Australian Nursing and Midwifery Federation (ANMF) in August 2013.
achieved the establishment of Nurse Practitioner positions in NSW – the first in Australia. We have achieved ratios for some nurses in New South Wales and will continue to strive for better pay and working conditions for all nurses and midwives. For a full, detailed history of the Association, you can purchase or borrow a copy of the book An Unsentimental Union by contacting the Library. Our Library will also help with research requests.